Will the WWE Universe see the Universal Champion on RAW tonight? Kurt Angle has issued an ultimatum to Universal Champion Brock Lesnar: show up to Monday Night RAW tonight, agree on a date to defend the title... or be stripped of the championship. Angle made the announcement during last night's Extreme Rules pay-per-view. A multi-person number one contenders match had been initially planned for the show, but that was cancelled weeks ago due to 'contractual issues' with Lesnar. "Brock refuses to face any opponent here in the WWE, and yet shows up in the UFC and gets in the face of their champion." Subsequently, Angle has issued this ultimatum regarding the title for tonight's episode of Monday Night RAW. 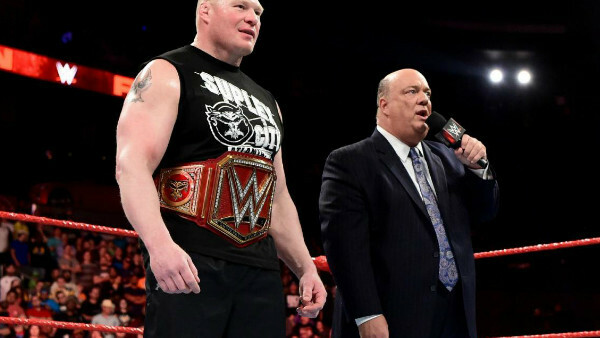 Lesnar's next appearance will be the first time he's been on WWE television since April's Greatest Royal Rumble, although he is still reportedly scheduled for a match at SummerSlam next month. What do you think will happen tonight? Let us know in the comments below!